1. Joy, Benny Crash The Party [alt. vers. 1] [unissued] uniss. 6. Joy, Benny Steady With Betty [alt. vers.] [unissued] uniss. 12. Joy, Benny Bundle Of Love [vers. 1] [unissued] uniss. 16. Joy, Benny I'll Never Have The One I Love [vers. 1] [unissued] uniss. 17. Joy, Benny Cutie Pie [unissued] uniss. 18. Joy, Benny A Dream, A Hope And A Love [unissued] uniss. 22. Joy, Benny Dearest Darling [unissued] uniss. 23. Joy, Benny Don't Boo Hoo Mary Lou [unissued] uniss. 24. 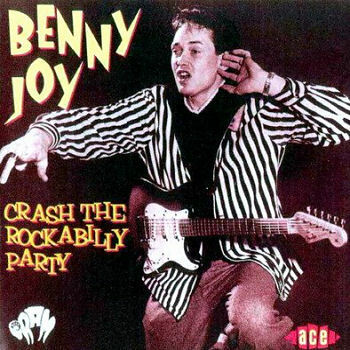 Joy, Benny Hold My Hand [unissued] uniss.